A free spirit meets her match in all-around perfect bachelor whose humorlessness is his only flaw. 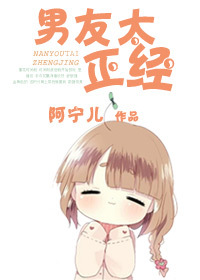 When Xia Zhen reaches the unfortunate marriageable age, she is forced to go on a blind date where she meets Pei Cheng An. Her cunning plan is to pretend to be completely infatuated with her date in front of her mother, while sabotaging the actual relationship. Except Pei Cheng An isn’t the type to follow the script. In Xia Zhen’s opinion, Pei Cheng An is a person whose way of thinking belongs in the last century and whose manner of speaking reminds her of her grandpa. But since he looks dreamy and has qualifications, she’ll just pretend that she has fallen for him at first sight. Eh? Pei Cheng An also finds her good enough to start a relationship with. A simple but fluffy love story! There's not much up and downs but the interaction between the main leads are so cute and heartwarming. A recommended story if you just want to read something light and romantic.